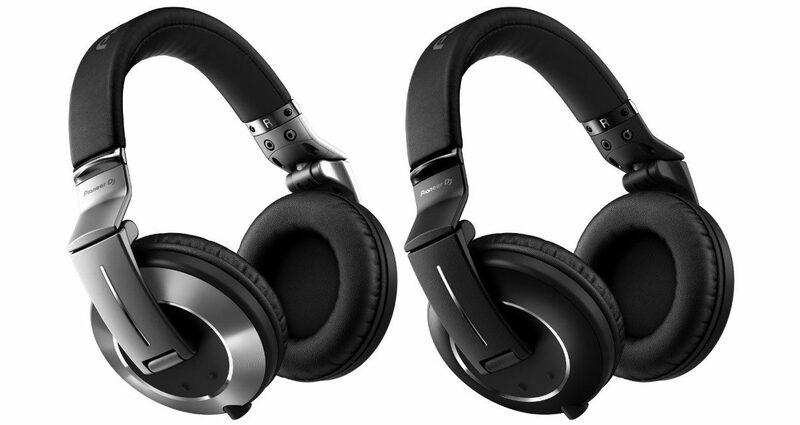 Pioneer DJ's latest headphones are some of the best sounding DJ cans in the market today. A great professional pair of headphones for the professional gigging DJ, but it doesn’t stop there. Even if you’ve just started performing in front of a crowd, these are a great pair of headphones to invest in for the long haul. Good sound, a comprehensive accessory package in-the-box, and sturdy build round out an already good pair of phones made even better. Highly recommended. The Pioneer DJ HDJ-2000MK2 comes in a shrinkwrapped stiff box locker like most of its mid to high-end headphones do, a far cry from the cheapo plastic splinter pack that continues to plague its entry level models. Unboxing has become a pastime and even a business for some, and taking the HDJ-2000MK2 from its packaging is a real joy. 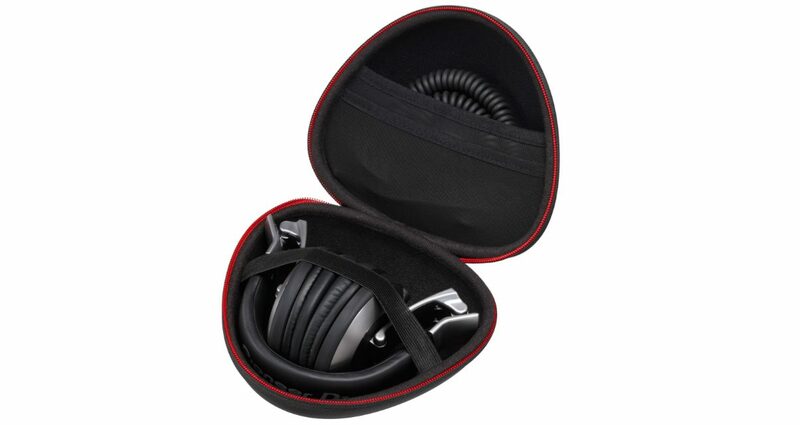 In it you’ll find a zippered clamshell hardcase that holds the HDJ-2000MK2, two sets of detachable cables (one straight, one coiled), and an 1/8″ to 1/4″ adapter. One side of the case has a netted portion for storing the cables and adapter, and the other has a band for holding your headphones in place. It’s worth noting that in order to store the HDJ-2000MK2 here, you need to detach the cable first (the cable is connected via mini XLR jack) before folding them for storage. I was in the studio when I first opened the package, so I connected the headphones to my computer’s sound card and gave it a go. The HDJ-2000mk2 ships with its own clamshell carrying case, coiled and straight cables, and a screw-on 1/8″ to 1/4″ adapter. The HDJ-2000MK2 are some of the best feeling headphones I’ve used. 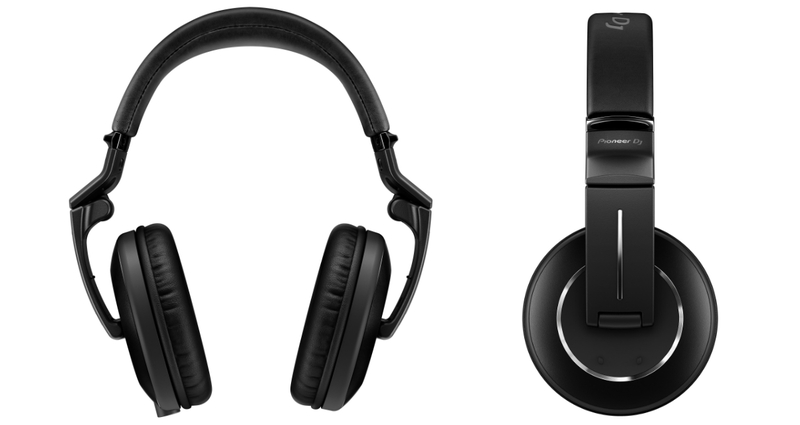 They’re not very heavy, and the design is sleeker and slimmer – generally less bulky than other full-sized DJ headphones, even compared to some of Pioneer DJ’s less expensive offerings. At this price, you’re expecting a premium build, and that’s exactly what you get with the metal headphone casing. The earcups fold into the headband for case storage and transport. They can swivel 90 degrees to match varying DJ monitoring styles, and has metal hinges where the cups meet the headband – typically, this is where a lot of DJ headphones break as the years of use and abuse take their toll. While we haven’t had these long enough to guarantee they’ll last, having metal parts instead of plastic in those areas is more reassuring in terms of their lifespan. In a quiet environment like your home DJ studio or bedroom, you can really pick out the nuances of the HDJ-2000MK2: Crisp highs, detailed mids, and plenty of tight bass. The latter is the most impressive feature of these headphones, thanks to the large 50mm speaker drivers in each earcup that deliver copious amounts of bass without sounding like you’re standing beside a club’s bass bins. In other words, great low end without overdoing it. The HDJ-2000MK2’s headband is a bit narrow, letting them contour to the sides of your head when worn with just the right amount of pressure. You won’t feel like you’re being put in a headlock by a professional wrestler even after hours of DJ use. One of the touted improvements in the HDJ-2000mk2 is the noise isolation, letting you hear more of your music in a noisy DJ booth or club, so I took it out to a gig I had that started at 2AM in a less-than-ideal booth environment. This was a small bar with poor acoustics, a very loud sound system, and a wicked vibe straight out of a 90s rave movie – in short, it was noisy, sweaty, and very crowded right up to the DJ box! The HDJ-2000MK2 were up to the task. I wear musician’s earplugs when I DJ in a venue like this where I have to turn up the volume of my headphones just to hear my cueing over the noise, and they didn’t have a problem delivering: These are some pretty loud cans. But more importantly, I realised that I didn’t have to turn it up as much because the earcups blocked a significant amount of ambient sound. Of course these aren’t soundproof; you’ll still hear the world around you, but with enough attenuation for you to focus on what’s coming out of these headphones instead of what isn’t. My DJ set ended around 5AM, and I still felt like I could wear these headphones for an hour or two. They’re really comfortable, and while sets longer than an hour and a half are more the exception than the rule in the current EDM / chart music climate, should you need to play longer you’ll never feel like your head was being squeezed from the sides by a Vise-Grip. You’ll know you’ve bought a fantastic pair of headphones when you start using (and abusing) them instead of browsing online for another model to add to your DJ bag. The Pioneer DJ HDJ-2000MK2 is that: A great-sounding professional pair of headphones for the professional gigging DJ, but it doesn’t stop there. If you’ve just started performing in front of a crowd, these are a great pair of headphones to invest in for the long haul. Speaking of wear and tear, Pioneer DJ headphones are known to have earpads that flake and tatter at the edge of their lifespan (typically after two years of heavy use), and having replaceable earpads readily available on order from Pioneer DJ themselves is convenient. Good sound, a comprehensive accessory package in-the-box, and sturdy build are the highlights of the HDJ-2000MK2, and the only thing that we don’t like about it is the price: At just under US$350, it’s a big spend as far as headphones go, but worth every penny especially if you’ve ever encountered gig situations where your headphones break off in the middle of a set. Highly recommended.